Problem Solving Consultants – Working together to find lasting solutions. 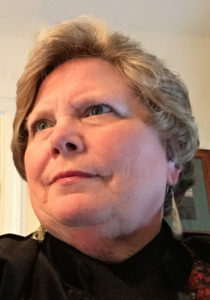 You’ve reached the “home” page of Problem Solving Consultants, [Operated by Virginia Swisher, PhD (Public Administration), MA (Public Administration), MA (Psychology), BA (Psychology) and CEMC (Certified Empowerment and Motivational Coach) with a 20-year career in the federal probation field and 4 years as a personnel officer in the US Air Force]. Dr. Swisher is recognized as a premier resource in problem resolution and critical and creative thinking. She is currently an adjunct professor of criminal justice with the University of Phoenix. PSC and Dr. Swisher may have the solution! for a FREE review without any obligation. Do not be fooled by low or high prices, click here to see all prices for services offered by Dr. Swisher. Because of Dr. Swisher’s experience (20 year career in the federal probation field and 4 years as a personnel officer in the US Air Force), she has the skills to help resolve personnel as well as management issues that may negatively affect performance and productivity. Also, because Dr. Swisher is an experienced facilitator for planning sessions, critical and creative thinking, staff training, and the development/implementation of problem resolution and critical/creative thinking issues, she can easily be your ‘go to’ resource for a wide-range of issues needing viable solutions. She prices her personal consulting and the consulting services of her staff on a case-by-case basis – always reasonable and never exceeding the budgeted/agreed amount without prior approval. She does not like surprises. Her personal rates are $200/hour based on ¼ hour increments. Her initial consultation (up to one hour) is always FREE (by telephone, SKYPE, or, if in the Phoenix/Scottsdale/Surprise/Glendale area, in person). Travel to remote or international sites is always possible and costs are billed as authorized. In addition, given her expertise and knowledge of the federal sentencing guidelines, she can offer legal firms doing federal criminal cases the expert knowledge and assistance necessary to deal with difficult sentencing issues. To view Dr. Swisher’s credentials and unique skills in detail, click here. Then contact Dr. Swisher and let her work with you to find a lasting solution to your problems. Questions? If you would like to talk with Dr. Swisher, then dial 203.668.0262 (her direct line). Dr. Swisher operates in the Arizona/Phoenix Time Zone, so plan accordingly. Read Articles written by Dr. Swisher on various problem resolution issues. Angela Buer, MA (Art Education), BA with honors (Art History), BFA with honors (Painting) is an accomplished and recognized expert in advanced professional levels of graphic design, desktop publishing, and presentation software in both Macintosh and PC operating systems. Ms. Buer is an experienced and proven problem solver for clients experiencing issues with digital media, graphic design, and professional presentations. 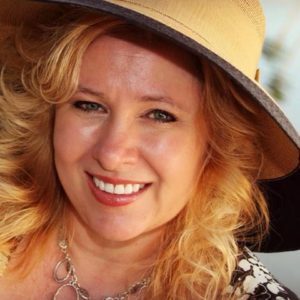 She has applied her skills to helping clients address branding, marketing, and promotion issues in a variety of industries including publishing, education, entertainment, fine arts, advertising, and healthcare. She has served as an advertising coordinator, art director, and designer for clients in both the national and international markets. She is currently contracted as an associate faculty for University of Phoenix in the College of Humanities and Sciences as well as the College of Information Systems and Technology as well as an adjunct faculty member for the MCCCD at Scottsdale Community College. She teaches in many different disciplines including, but not limited to: Humanities, Professional Development, Art History, Graphic Design, Digital Media, and Critical Thinking. To visit the Privacy Page of this website, click here.